We are very proud to announce our recent partnership with Wolfram Blockchain Labs. 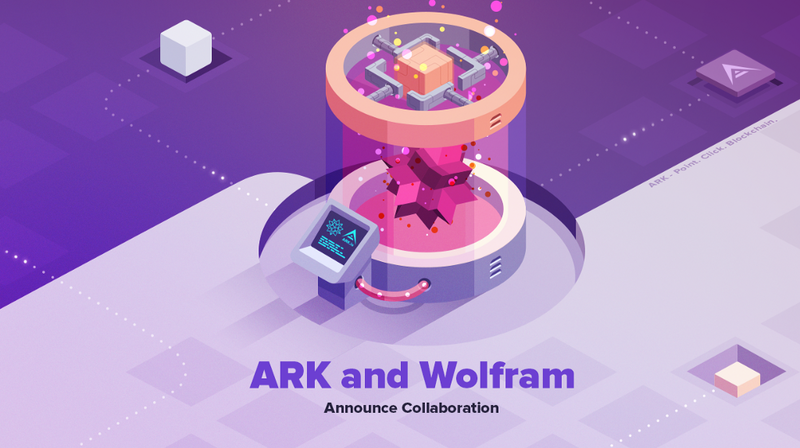 This partnership entails integration between Wolfram’s DLT hosting architecture and the ARK Ecosystem. Giving developers direct access to work with a seamless set of computational tools. Through this collaboration, the ARK public API is now integrated into the Wolfram Language and programmatically available for analytics, application development and computational exploration — with universal and consistent functions for building services using data from ARK nodes. This programming language integration adds to the our already impressive amount of Software Development Kits(SDK’s), making 19 SDK’s available for any developer to choose their favorite programming language and jump into ARK. Wolfram Language functions allow access to Testnet and Mainnet networks to both create and access transactional data posted to Bitcoin, Ethereum, ARK, and other blockchains. By integrating ARK nodes within the Wolfram Blockchain Labs DLT hosting architecture, this new integration will allow developers to create new applications and explore blockchains with broadened scope, superior visualization tools and customized analysis of transactions. ARK and Wolfram will also provide computational essays (Wolfram Notebooks that feature code, interactive output and narrative text) for a broad range of uses for those looking for computation-based interactive educational material.